GridCast: live and behind the scenes of grid computing: We'll meet in Barcelona! And... after 6 months, here I'm again at GridCast, trying to bring you the best of EGEE'09 feelings! 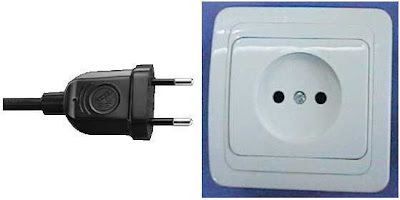 Very important: the electricity parameters used are 230V and 50Hz. Now that we have arranged the power supply for our "baby", it's time to know what clothes will be needed. Barcelona is very humid as it's located at the coast. If coming this weekend, bring an umbrella with you as some rain is expected. Maximum temperature will be 27ºC and minimum, 15ºC. Bring a jacket and some pullovers, as during the night it will surely be chilly. Great, and now let's move to transportation. We, at the UCM team, are seriously considering buying the Barcelona Card. This card provides you free access to Barcelona's public transport and discounts in many cultural activities. If you buy it online from the link I'm giving you, you'll get it with a 10% discount. Well, that's all for now... Stay tuned for more GridCast News! Great hints! Thanks! Do you know of any cultural activities during the week we are there? In English with extended information. In Spanish BUT you access all the cultural activities for each day in a glance. BTW, I also recommend to pay a visit to the current CAIXAFORUM exhibit (Maurice de Vlaminck paintings) and of course, to spend an afternoon in "Parque Güell", the fairy tale park created by Gaudí. Also Dali's home town of Figueres isn't that far. You'll find me here on Sunday hopefully. Well, Dalí's house is about 140 Km from Barcelona... but yes, It's something that's is also worth the trip!